THE GALAXY EXPRESS: Free Ebooks! Low cost Sci-Fi Romance! Fill up your Kindle! Free Ebooks! Low cost Sci-Fi Romance! Fill up your Kindle! Blogs listing ebook deals are the latest trend. But whenever I see a list including free romance ebooks (or low cost 99-cent ones), I rarely, rarely encounter any science fiction romances on the list. Therefore, I decided to compile one myself. But as soon as the idea struck me, I was a little worried. Were there even enough out there for a substantial list? If not, no wonder bloggers aren't including this subgenre. You snooze, you lose. Despite my trepidation, I did find a handful of them. However, it’s a shame I couldn’t find more. I know authors have little to no control over pricing (except those with self-published books), but I think a few 99-cent or free SFR titles a month would give the subgenre an advantage in terms of boosting visibility. Consider this my appeal to publishers of sci-fi romance to make that happen—as well as to authors who are willing to ask their publishers to discount one or several of their titles. And you may have to ask more than once. Squeaky wheel and all that. I realize that slashing prices is a very different mindset compared to even just a few years ago. And there would be risks. Still, I don’t think the risks are so significant that it’s not even worth trying. Titles are listed alphabetically by author. These prices are current as of this posting. Please do your own research before buying because as with anything, the prices are subject to change anytime. This post is not an endorsement of any of the titles; however, it is an attempt to help keep your book budget under control! 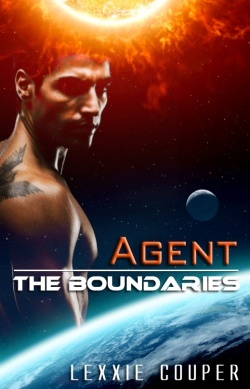 If any authors or publishers are offering science fiction romance ebooks for free or 99 cents this week, please let me know in the comment section! I would be happy to run a post like this on a periodic basis if there are substantial offerings.